Woodlands Bus Depot is a bus depot under SMRT Buses. 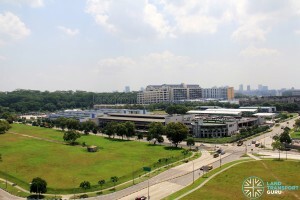 Located along Woodlands Industrial Park E4, it serves as a parking and maintenance facility for bus operations mainly around Woodlands and Marina Centre. 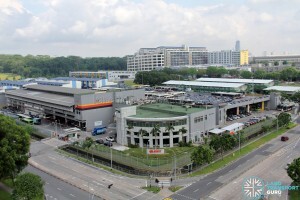 Woodlands Depot is a major bus depot serving the north of Singapore. It provides maintenance and refuelling work for buses in the area, and commonly referred to as WLDEP. 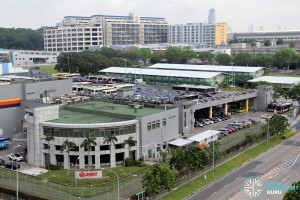 It is also SMRT Buses’ only multi-storey depot, covering two floors, and accommodates over 300 buses. 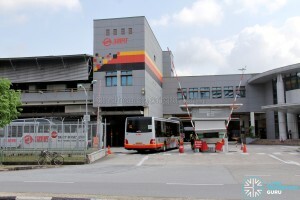 Woodlands Depot houses SMRT Buses’ main overhaul centre, which handles bus refurbishment and extensive maintenance works for the entire SMRT bus fleet. 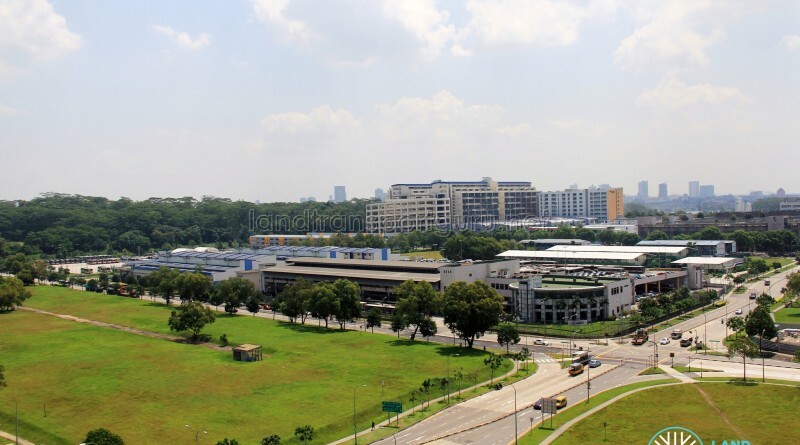 It is also a maintenance facility for SMRT Taxis and other companies/government agencies who subcontract maintenance work for road vehicles to SMRT Engineering Pte Ltd. 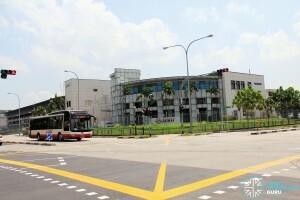 Besides being the headquarters for SMRT Buses, WLDEP houses SMRT’s Bus Operations Control Center (BOCC), in charge of all SMRT bus operations in Singapore. 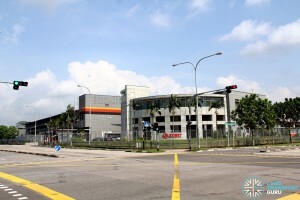 Land for the depot was acquired by Trans-Island Bus Service (TIBS), the predecessor of SMRT Buses, in Q4 1997 for the construction of its third bus depot after Ang Mo Kio and Kranji depots. 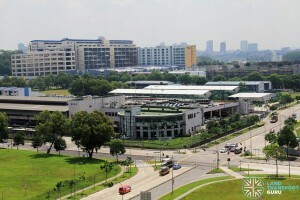 Constructed between 1997 and 1999, the facility covers an area of 2.58 hectares and was built at a cost of $50 million. The bus workshop occupies the ground floor, while the upper floor houses additional parking space. 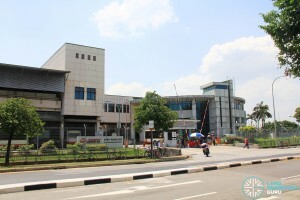 The administration building is constructed as a separate wing and comprises SMRT offices and the Bus Operations Control Centre (BOCC). 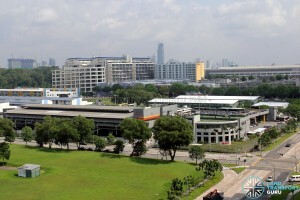 The depot was officially opened on 23 October 1999 by Mr Yeo Cheow Tong, Minister for Communications and Technology. 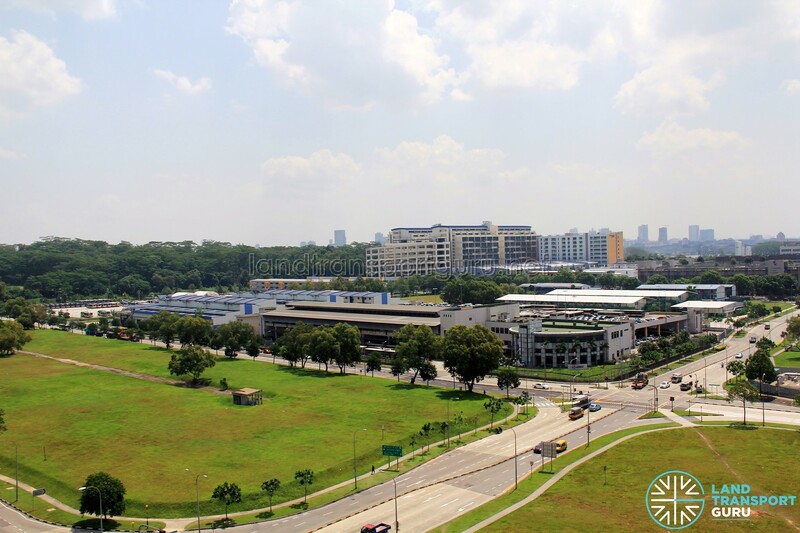 Due to a chronic shortage of parking space, Woodlands Bus Park was opened in 2013 along Woodlands Avenue 4 as additional bus parking space for Woodlands Depot. Solely providing parking space and with no other facilities, all refuelling/maintenance works are carried out at Woodlands Bus Depot. Woodlands Bus Depot – Overhead view. Buses can be seen parking on the upper level. Can built a new 3 storey DD friendly depot opposite..